Touchstone Crystal by Swarovski brings the sparkle and brilliance that Swarovski is known for right to your door with an extensive line of jewelry and accessories. Touchstone Crystal uses only precision cut Swarovski Crystals and Zirconia to bring unmatched sparkle to every piece in their line. From earrings to bracelets to necklaces and rings, Touchstone Crystal has jewelry everyone will love. Inspired by “a diamond for everyone,” Daniel Swarovski created a machine that cut crystal back in 1891, changing the crystal industry for good. Since then, the Swarovski name has been synonymous with style and elegance throughout Hollywood and around the world. Touchstone Crystal by Swarovski is bringing that Hollywood glamor home through Independent Consultants like Kim Carnovale. 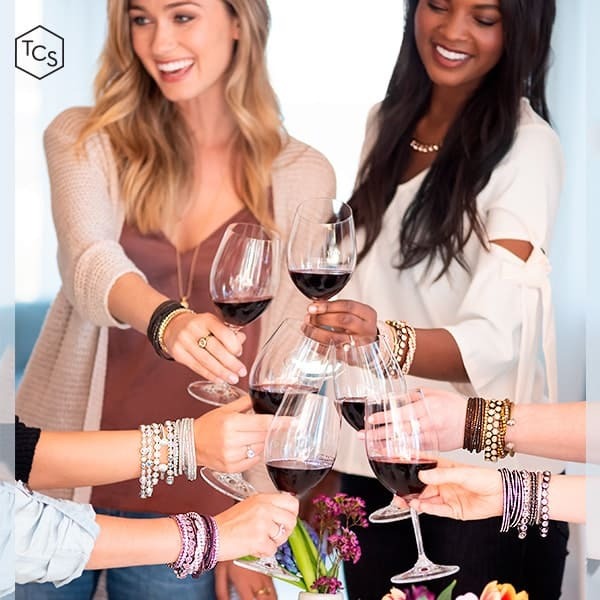 Through their exclusive direct sales opportunity, you can now buy these beautiful pieces right online, host a party to earn your favorites for free, or even build a business sharing these sparkling jewels. Independent Touchstone Consultant Kim Carnovale sent in the Touchstone Crystal Ice Bracelet to be featured in this year’s Gift Guide. Pictures could never do this beauty justice – the sparkle is mesmerizing. 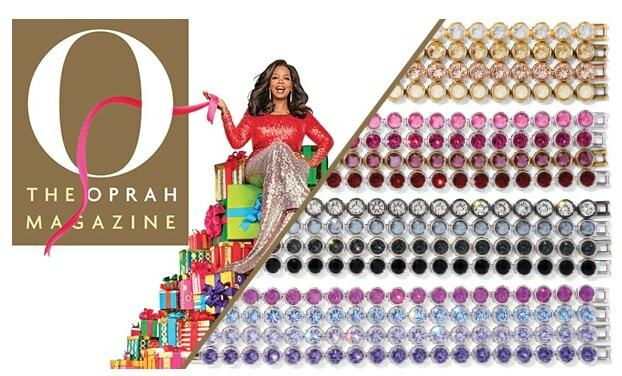 The Touchstone Crystal Ice Bracelets are so popular in fact, they even made it onto Oprah’s Favorite Things list for 2018! How cool is that!? This particular one is the Crystal Aurore Boreale Ice Bracelet which has a gorgeous iridescent sparkle to match literally everything in your closet. The Touchstone Ice Bracelets come in over 30 hues and stack together beautifully. 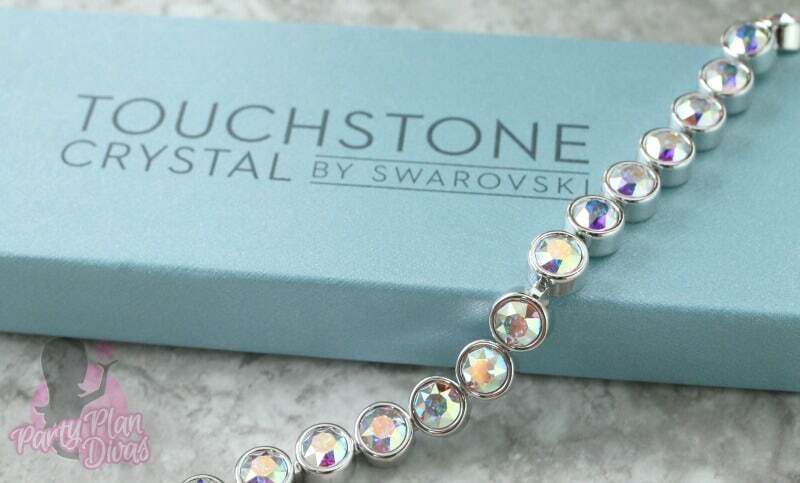 You can visit Kim’s Website to see everything Touchstone Crystal by Swarovski has to offer and be sure to join her exclusive VIP Group and follow her on Instagram for news and specials all year long. Whether you get involved as a customer, a hostess, or even by joining Kim’s team, you are joining decades of quality and style that only Swarovski Crystals are known for. 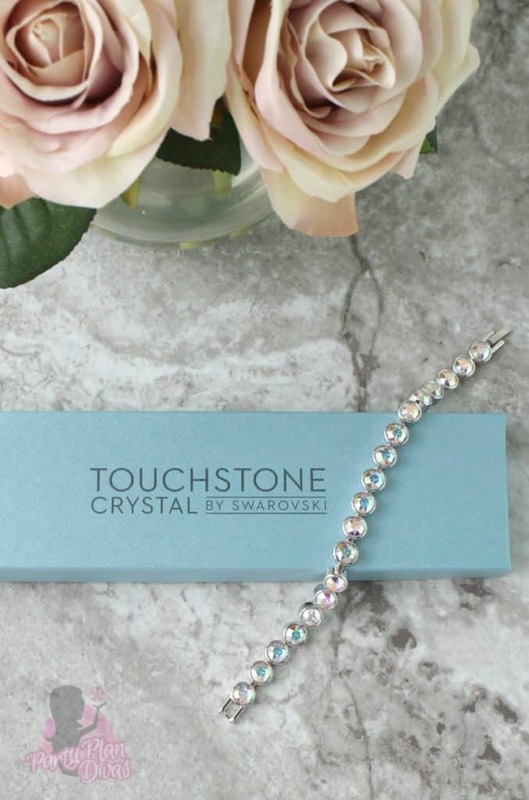 I am so super excited to offer one lucky reader your very own Touchstone Crystal by Swarovski Ice Bracelet from Independent Touchstone Consultant Kim Carnovale. You can enter using the RaffleCopter widget below! Good luck!